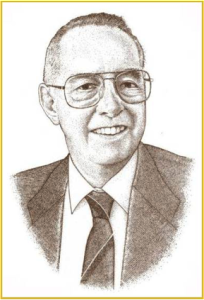 Dr. Theodore A. Koch, 88, a retired DuPont research scientist passed away peacefully at his home in Wilmington, Delaware on September 13, 2014. A native of upstate New York, Koch studied chemistry at St. Michael’s College in Burlington, VT and the University of Pennsylvania in Philadelphia, PA, earning his Ph.D. in chemistry in 1952. He joined the DuPont Co. ultimately retiring from its Nylon business unit as a DuPont Fellow after 48 years of service. An authority on heterogeneous catalysts, Koch spent his entire career developing chemical processes and bringing them from the benchtop to commercialization with marked creativity and tenacity. Koch is survived by his wife of 62 years, Anne, his five children, five grandchildren and extended family. His memory lives on through the Theodore A. Koch Fund that will recognize and reward Delaware Valley achievements in catalysis research. Charitable donations may be made to the Catalysis Club of Philadelphia, Ted Koch Fund, c/o Stephen Harris, Treasurer, Renmatix, 660 Allendale Road, King of Prussia, PA 19406. Published on October 25, 2014 . Posted in Memoriam, News. Anne Gaffney is the recipient of the 2015 Eugene J. Houdry Award of the North American Catalysis Society. The Eugene J. Houdry Award in Applied Catalysis is sponsored by Clariant. It is administered by The Catalysis Society and awarded biennially in odd-numbered years. This award recognizes and encourages individual contributions in the field of catalysis with emphasis on the development of new and improved catalysts and processes representing outstanding advances in their useful application. 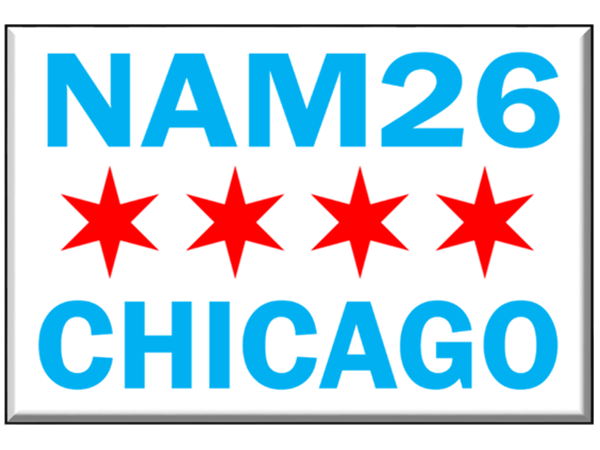 The award consists of a plaque and a prize of $5,000, which will be presented at the 24th North American Meeting of the Catalysis Society to be held in Pittsburgh, Pennsylvania on June 14-19, 2015. The Award Plenary lecture will also be presented during this meeting. Anne Gaffney is being recognized for outstanding achievements in catalysis as described below: (1) Development of improved rhodium based hydroformylation catalyst for butanediol (BDO) synthesis from propylene oxide; (2) Development of modified zeolite catalyst for Superflex process for conversion of inexpensive HC feeds such as naphtha to valuable light olefins which has been commercialized in 2007; (3) Development of AlkyClean™ process and a new zeolite-based bimetallic catalyst for the alkylation of C3-C5 olefins with isobutane, which has been commercialized in 2013. Her other noteworthy achievements include development of new catalysts based on promoted lanthanide oxides for methane conversion to ethylene by oxidative coupling; invention of a new direct propylene oxide (PO) catalyst for the selective oxidation of propylene with molecular oxygen; development of new catalytic systems for the partial oxidation of methane to syngas at the millisecond contact time; invention of new mixed metal oxide catalysts for the selective oxidation of propane to acrylic acid and the oxidative dehydrogenation of alkanes to olefins. She received a Ph.D. in physical organic chemistry from University of Delaware in 1981, and a B.A. in chemistry and mathematics from Mount Holyoke College in 1976. Having worked at ARCO, DuPont, Rohm and Haas, and Lummus in various R&D and leadership roles, she has been a most prolific inventor and an author with 233 patent/patent applications and 94 publications (plus 2 book chapters and 2 books edited) as well as 96 presentations or seminars. 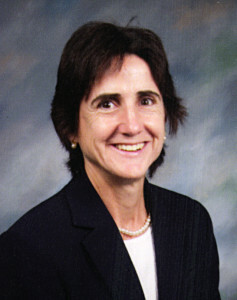 She has received many awards such as the ACS Award in Industrial Chemistry in 2013, ACS Fellow in 2010, the Tribute to Women in Industry Award in 2007, and the Catalysis Club of Philadelphia Award in 1999. Published on October 13, 2014 . Posted in Award, News. Helmut Knözinger passed away at his home in Munich on January 12, 2014, at age 78. The catalysis community loses an active member of many years, a contributor of outstanding science, leader in various organizations, editor of key publications, and partner in vibrant collaborations. Knözinger studied Physics at Ludwig-Maximilians-Universität München, with Physical Chemistry becoming his area of emphasis during his time as a doctoral student. His dissertation (1961), which was supervised by Georg-Maria Schwab, was his entrance into the field of catalysis; he investigated the suitability of the catalytic decomposition of methyl formate as a test reaction. He continued on with the Habilitation (1967), the qualification for professorship within the German academic system (Doctor of Sciences in others). The topic of the associated thesis was the dehydration of ethanol on alumina, a material that would later be the subject of his perhaps most famous article. Knözinger held various academic positions at Ludwig-Maximilians-Universität München, with an interlude as a guest professor at the Universidad Central de Caracas, Venezuela (1968/69), before he arrived at his final rank of professor (1980). 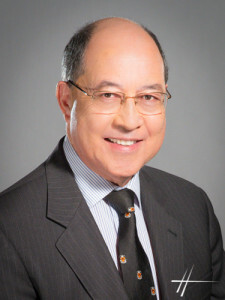 He remained true to his alma mater until his official retirement in 2000, after which he kept an office and continued to be active as a researcher and editor. Knözinger researched in many different areas of catalysis and excelled at developing and applying spectroscopic methods for the characterization of catalysts. Each of the classes of materials in his focus can be associated with methods that he tailored for the purpose of their investigation. He made significant contributions to the characterization of acid-base properties of oxidic materials, analyzing the OH groups spectroscopically, and extensively using carbon monoxide (CO) as a probe but also exploring much sought-for probe molecules for basic surface properties. This work is documented in many original and review articles, including those on alumina in Catalysis Reviews-Science and Engineering in (with Ratnasamy, 1978), on CO adsorption in Materials Chemistry and Physics (with Zaki, 1987), on weakly interacting probes for zeolites in Journal of the Chemical Society – Faraday Transactions (with Huber, 1998), and on acid-base characterization in the Handbook of Heterogeneous Catalysis (2008). Relating to his work on CO as a probe molecule, he also applied his skill in infrared spectroscopy to supported carbonyl complexes, of which he wrote in Angewandte Chemie International Edition (with Lamb and Gates, 1988). Oxides supported on other oxides was another focus area, with applications of the catalysts for example in hydrodesulfurization and selective catalytic reduction. In addition to probe molecule adsorption and IR spectroscopy – his forte, he applied Raman, UV-vis, and photoelectron spectroscopy. To investigate the mechanism of dispersion of oxides on other oxides, experiments to observe the transport were designed, and in a long-lasting collaboration with the Institute for Plasma Physics in Garching (a Max-Planck Institute), thin film model catalysts were investigated by surface science techniques such as ion scattering and Auger electron spectroscopy. Examples of this work are the articles on molybdena supported on alumina in Journal of Physical Chemistry (with Jeziorowski, 1978) or on solid-solid wetting in Surface Science in (with Leyrer, Margraf, and Taglauer, 1988). 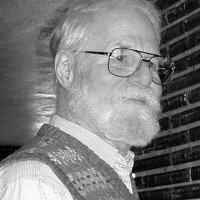 Knözinger’s work was recognized with national and international awards, among them the Ciapetta Lectureship (1980), the Ipatieff Lectureship (1988), the Max-Planck Research Award (1995), the Prix Gay Lussac Humboldt Prize (1997), and the Alwin Mittasch Medal of Dechema (1998). He became an honorary member of the Hungarian Academy of Sciences in (1995), a member of the Academia Europaea (2000), and an honorary professor of Nankai University, Tianjin, China (2004). He was a member of chemical and catalysis societies, and helped organize national and international conferences on catalysis. Notably, he was first a member of the European Association of Catalysis and then later the representative of the Federal Republic of Germany in the Council of the European Federation of Catalysis Societies (1993-1999). He also acted as president of the International Association of Catalysis Societies (1996-2000). As editor, Knözinger moved into the footsteps of Schwab, who had edited a handbook of catalysis. Together with Ertl and Weitkamp, Knözinger published the first edition of the Handbook of Heterogeneous Catalysis with five volumes in 1997. Such was the success that a second edition, with Schüth as additional editor and eight volumes, appeared in 2008. He served as an editor of Advances in Catalysis, in the years 1998 through 2011; under his reign, three volumes were dedicated to spectroscopic analysis of the working catalyst. While Knözinger remained rooted in Munich throughout his career, he cultivated collaborations and exchange. He himself was an avid traveler and also a guest professor multiple times, in Caracas, Xianmen, Evanston, Amsterdam, and Paris. Researchers from around the world visited his laboratory (their provenience was, in fact, tracked by pins in a wall map at the institute), mostly to perform IR spectroscopic experiments using his specially designed apparatus. Guests were treated with graciousness and enjoyed Bavarian hospitality. His constant interest in everybody’s research was manifest in his daily afternoon rounds through the labs with individual conversations, his reception of a knock at his office door, his overnight reading of manuscripts handed to him. His reliability and his self-discipline were exemplary. His advising was never forceful, promoting academic freedom and independence. A significant number of students achieved the doctoral degree under his guidance and are testament to his skill as an advisor and mentor. Knözinger was a gifted athlete in his youth and a mountain enthusiast; he instigated regular group outings – hiking in summer and skiing in winter. He created an atmosphere of togetherness that let team spirit and humor flourish and friendships be forged. Knözinger was also a talented photographer and adhered to this passion throughout his life – his camera accompanied him on most occasions. The various photographs displayed in his office spoke of his skill, of his travels around the world, and his eye as an observer. Helmut Knözinger’s presence and his views will be missed. Published on September 10, 2014 . Posted in Memoriam, News. George Donald Blyholder was born January 10, 1931 in Elizabeth, New Jersey but he grew up in Kansas City, Kansas and Chicago, Illinois. He received his BA from Valparaiso U., his BS from Purdue U. in chemical engineering and a Ph.D. in chemistry from the University of Utah. His thesis was entitled “Kinetics of Graphite Oxidation” and a part of this was published with his advisor, the renowned kinetist Henry Erying. While a graduate student, he met and married Betty Sue Conrad. Following graduation, he did postdoctoral studies at the University of Minnesota and then at The Johns Hopkins University with Prof. Paul H. Emmett. His work with Emmett involved the use of C-14 labeled ketene to study the Fischer-Tropsch reaction mechanism. In 1959, he moved to Fayetteville, Arkansas as a professor of chemistry at the University of Arkansas. There he was involved in pioneering research on the use of infrared spectroscopy to study catalysis. His publication “Molecular orbital view of chemisorbed carbon monoxide” in the Journal of Physical Chemistry in 1964 has become a classic publication with 719 citations and probably more where it is just referred to as the “Blyholder Model”. He retired in 1996, becoming an emeritus professor. He published more than 100 articles in scientific journals with most in the area of surface science. His death at age 82 was on Feburary 24, 2013. Published on August 24, 2014 . Posted in Memoriam, News. Officer elections for the Southwest Catalysis Society open on August 4 and will close August 25. There are elections for Chair-elect, Directors (2), Secretary and Treasurer. SWCS members will be receiving an email with the link to the ballot. Link to candidate statements: 2014 SWCS Candidate Statements. Published on August 4, 2014 . Posted in News. We have lost a great scientist, a great humanitarian, and a dear friend and supporter of our catalysis community. Published on July 28, 2014 . Posted in Memoriam, News. Dr. Burtron H. Davis has been selected as the recipient of the 2014 NACS Award for Distinguished Service in the Advancement of Catalysis. The Award is presented every two years to recognize an individual who has advanced catalytic chemistry or engineering through both significant service to the catalysis community and outstanding technical accomplishments. This award includes an honorarium ($5,000) and a plaque. It is awarded by the North American Catalysis Society and sponsored by ExxonMobil Research and Engineering and Clariant and will be presented during the 2015 NAM in Pittsburgh. with industry relevance. During his five decade career, Dr. Davis has co-authored more than 500 peer reviewed publications and organized numerous symposia in various areas of catalysis. 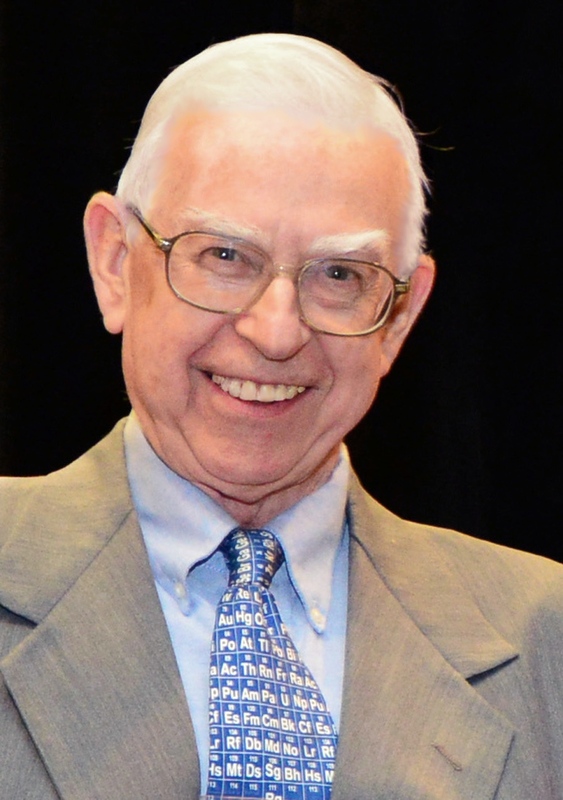 In service to the catalysis community, Dr. Davis has served the North American Catalysis Society in various capacities including organizing the 12th NAM in Lexington and serving as the Honorary Chair of the 23rd NAM in Louisville. 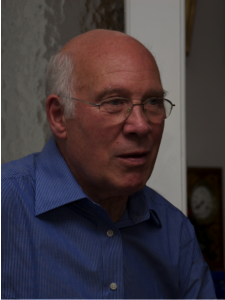 For the past three decades Dr. Davis has functioned as a historian of the NACS and the catalysis community. His foresight, dedication and efforts to archive and record the history of the society and catalytic science has led to an unprecedented NACS hosted collection of more than 1300 videos of conference presentations and one on one interviews. This collection stands as a testament to the dedication of Burt Davis to the preservation of the history of catalysis for generations to come. Published on May 20, 2014 . Posted in Award, News. Professor Michel Che, of the Université Pierre et Marie Curie-Paris 6 & Institut Universitaire de France, has been named the Royal Society of Chemistry Faraday Lectureship Prize winner for 2014. The Faraday Lectureship Prize is awarded for exceptional contributions to physical or theoretical chemistry. Professor Che’s work has largely contributed to improve our understanding of the elementary processes involved in laboratory/industrial catalysis, and bridged the gap between homo- and heterogeneous catalysis. His research concerns surface reactivity with emphasis on the functionalization of inorganic oxides and heterogeneous catalysis. He pioneered a molecular approach, based on transition metal complexes taken as probes, specific isotopes and physical techniques. His work has led to the emergence of interfacial coordination chemistry at the crossroads of chemistry. Dr Robert Parker, Chief Executive of the Royal Society of Chemistry said: “Each year we present Prizes and Awards to chemical scientists who have made an outstanding contribution, be that in their area of research, in industry or academia. “We’re working to shape the future of the chemical sciences for the benefit of science and humanity and these Prizes and Awards give recognition to true excellence. An incredible 47 previous winners of the Royal Society of Chemistry’s Awards have gone on to win Nobel Prizes for their pioneering work, including Harry Kroto, Fred Sanger and Linus Pauling. Indeed, one of the 2012 Royal Society of Chemistry Prize winners, Arieh Warshel, was awarded the Nobel Prize in Chemistry last year. The Royal Society of Chemistry’s Prizes and Awards recognise achievements by individuals, teams and organisations in advancing the chemical sciences. We want to reward those undertaking excellent work in the chemical sciences from across the world. There are over 60 Prizes and Awards available in the main portfolio, covering all areas of the chemical sciences. So whether you work in research, business, industry or education, recognition is open to everyone. The Royal Society of Chemistry is the world’s leading chemistry community, advancing excellence in the chemical sciences. With over 49,000 members and a knowledge business that spans the globe, we are the UK’s professional body for chemical scientists; a not-for-profit organisation with 170 years of history and an international vision of the future. We promote, support and celebrate chemistry. We work to shape the future of the chemical sciences – for the benefit of science and humanity. Published on May 9, 2014 . Posted in News. Professor Jim Dumesic Steenbock and Michel Boudart Professor, department of chemical and biological engineering, University of Wisconsin, Madison has been elected to the National Academy of Sciences. The National Academy of Sciences news release is available at http://www.nasonline.org/news-and-multimedia/news/april-29-2014-NAS-Election.html. Published on May 4, 2014 . Posted in News. Israel E. Wachs, Professor of Chemical Engineering at Lehigh University, has been named the recipient of the 5th Vanadis Award. The award was presented following the award lecture by Dr. Wachs at the 8th International Vanadium Symposium (V8) held August 15-18, 2012 in Crystal City, VA. This biannual award goes to a researcher having contributed to the chemistry/biological chemistry/toxicology of vanadium. Dr. Wachs was selected for his wellstoried contributions to vanadium science and contributions to the area of metal-oxide-based catalyses. Dr. Wachs received his undergraduate education at The City College of the City University of New York (B.E.-ChE) and continued his graduate (PhD-ChE) education at Stanford University under the mentorship of Professor Robert J. Madix, in the area of surface science. His research findings are considered the first application of surface science to heterogeneous catalysis. After graduation, he joined the Exxon Research & Engineering Company Corporate Research Labs where he was involved in development of many different catalytic technologies (selective oxidation, acid catalysis, synthetic fuel synthesis, hydrodesulfurization (HDS) and hydrocarbon conversion). One of his inventions, i.e., the selective oxidation of o-xylene to phthalic anhydride by vanadium oxide/titanium catalyst supports, is still the leading industrial catalyst for this technology. Dr. Wachs subsequently joined the faculty of the Chemical Engineering Department at Lehigh University. There, he established a world-class catalysis research laboratory focusing on oxide catalytic materials and their characterization under reaction conditions (in situ and operando spectroscopy). These fundamental studies established a foundation for molecular/electronic structure – activity/selectivity relationships and the molecular engineering of novel oxide catalysts. One of the emphases of Dr. Wachs’ research has been on the fundamentals and applied aspects of supported vanadium oxide heterogeneous catalysts for environmental applications (for reduction of acid gas emissions from power plants and paper mills). More recently, he has extended his research on vanadium oxide catalysis to aqueous enzyme mimics. Dr. Wachs’ scientific research accomplishments are internationally known and have received recognition by EPA, ACS, AIChE, the Humboldt Foundation, and now, the International Vanadium Symposium. Historically, the Vanadis Award has been presented on the basis of documented contributions of a scientist to the area(s) or combinations of vanadium chemistry, biochemistry, biology, or pharmaceutical sciences. The award is specifically given to an individual who has contributed innovative research and had a impact on direction of their field(s) – in terms of development of new applications and lasting impact as testified by the service of the nominee to the overall progress, application, and exploration of new uses of vanadium in science. Candidates for the Vanadis Award can be nominated by any member of the vanadium community; the awardee is selected by an international committee of experts in the science of vanadium. Previous winners of the Vanadis Award have been Debbie C. Crans (2004), Dieter Rehder (2006), Toshikazu Hirao (2008), and Vincent L. Pecoraro (2010). If you would like more information about this award, the 2012 award selection or the International Vanadium Symposium, please contact Debbie Crans at 970-491-7635 or Craig McLauchlan at 309-438-7019. Published on May 2, 2014 . Posted in Award, News.